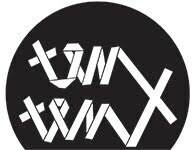 Ten x Ten 2015 kicks off with a free afternoon lecture about Graphic Notation with guest presenters Jordan Martins and Katherine Young this Sunday. 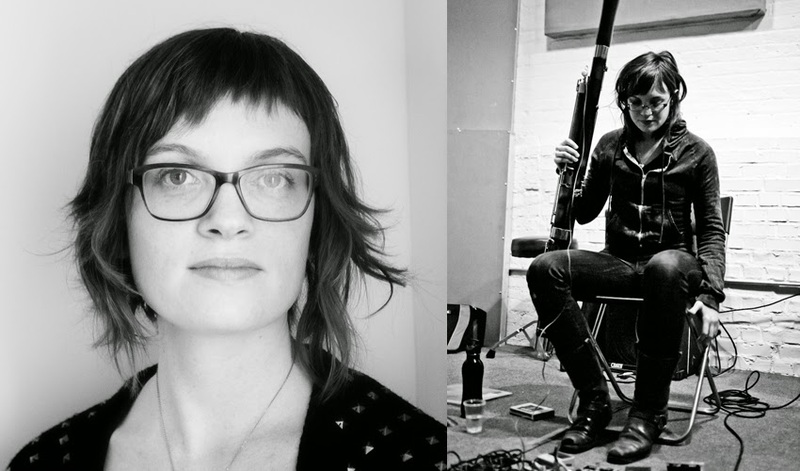 Seth Vanek of Homeroom Chicago interviewed Katherine Young about her experiences combining composition and improvisation and how non-traditional notation can bring a piece to life. Please join us this Sunday, February 8th at 4:00pm for Graphic Notation 101 at Spudnik Press Cooperative, 1821 W Hubbard St. #302. Composer, bassoonist, and improviser Katherine Young creates acoustic and electro-acoustic music that has been described by the New York Times as “raw, wailing, coloristic,” and New Music Box has noted “her visceral approach to sound…her attentiveness to the smallest details of timbre; her adventurousness in using instruments in unexpected ways.” Ensemble Dal Niente, Talea Ensemble, Flux Quartet, String Orchestra of Brooklyn, Spektral Quartet, Fonema Consort, Till by Turning, and others have performed her compositions. Her solo work as well as her work with her quartet Pretty Monsters has garnered praise in The Wire, Downbeat, and All About Jazz . In addition, her multi-movement installation-performance piece Diligence Is to Magic as Progress Is to Flight, written in close collaboration with violinist Austin Wulliman, is recently out on Parlour Tapes+ as a stereo recording and do-it-yourself cassette installation box set. Seth Vanek: What role does collaboration play in your work as a composer? I was able to do some of my earliest compositional experiments and formative big projects with these partners-in-crime. More recently, I have embarked on several deeply collaborative projects with new collaborators: My project "Diligence Is to Magic as Progress Is to Flight" with violinist Austin Wulliman produced a 6-movement, 8-channel installation performance piece. This spring I'm collaborating with Turkish visual artist Deniz Gul and a group of mostly Chicago-based improvisers to translate Gul's text & sculptural piece into a musical piece. I've got a big project on the horizon with Manchester-based violinist Linda Jankowska as well. Very specific, idiosyncratic sounds become possible when working closely with a specific performer, as do big, conceptually rich projects. Seth: Your group Pretty Monsters incorporates a good amount of improvisation. Can you describe the techniques you use to leave a space (and perhaps an implied structure) for improvisation in your compositions? Katherine: Actually every piece for Pretty Monsters so far uses very different structures, techniques for incorporating improvisation, and notation. Some of our pieces are graphic/text scores with interactional instructions and not much more, while others are almost fully notated, with very specific moments left more "blank" or loose for improvisation. But fundamentally, the technique was in selecting the collaborators and honing a sort of sound for the band based on their musical personalities. With that foundation, I have a lot of flexibility and the music can be flexible as well. Seth: Your scores often include elaborate instructions and a unique notational language. Do you see non-traditional and graphic elements as simply a means to an end in terms of the specificity of sounds and techniques you require from players or are there other benefits to using these devices? Katherine: Basically, yes--I try to make the notation as specific as possible / necessary to get the sounds I'm imagining. But at the same time, using more poetic notation at times can allow for interpretation and creative input from the performers. Having a collaborator respond to the score in a way I hadn't anticipated can be one of the most exciting parts of bringing a piece to life. I want my pieces to surprise me! Seth: Who are some visual artists that you draw inspiration from? Katherine: Sarah Sze is a big inspiration. I love her sculptural installations that create these gorgeous, precarious large-scale forms from small, every-day objects. The pieces engage with abstraction and referentiality in ways I have been thinking about for years! I also have always really loved Cy Twombly's paintings (for some similar reasons), and I love the cinematography in noir films.